I wanted to say thank you to Mr Philippe de Rosnay for all his help. Mr de Rosnay has been consistently understanding, thorough and patient throughout my experience. He has really listened to me and given me a very personalised treatment experience. His response to queries has been second to none and has consistently filled me with confidence during quite a worrying time. His level of knowledge and experience is incredibly reassuring and has meant I had full confidence in him. I'm so grateful to him and very lucky to have found such a great gynaecologist. As a new patient, I was naturally anxious at my initial consultation. I needn’t have worried as Mr de Rosnay put me at ease immediately. He listened carefully to my symptoms and took time to explain my health issues, helping me to understand my condition and options. His experience and knowledge is extremely reassuring which gives me complete confidence in him and his recommendations for future treatment. Mr de Rosnay was recommended to me with good reason and I would definitely recommend him to others. I’m delighted (and relieved) to have found Mr de Rosnay and would like to thank him for helping me during a difficult time. As a new patient of Mr. Philippe de Rosnay I was anxious for my first appointment. But as soon as I met him I was put at ease as he listened to my concerns. He explained my health issues very thoroughly and he took time to ensure me that I had a full understanding of my condition. He is a very nice and caring doctor and I am so happy to have found him. I would always certainly recommend him. Mr Philippe de Rosnay is a consultant Gynaecologist & Laparoscopic (‘key-hole’) Surgeon and Obstetrician at Chelsea & Westminster NHS Foundation Trust, based at the West Middlesex Hospital site. He believes in delivering high quality, patient-centred care in a professional and personalised manner. He is committed to ensuring that patients are listened to and are given adequate time to fully understand their treatment choices. Diagnoses and all available management options are explained in a caring, compassionate and easily understood way. Mr de Rosnay is a skilled surgeon and has a special interest in urogynaecological disorders, often referred to as pelvic floor dysfunction. These include conditions such as urinary incontinence, pelvic organ prolapse and childbirth-associated perineal trauma. 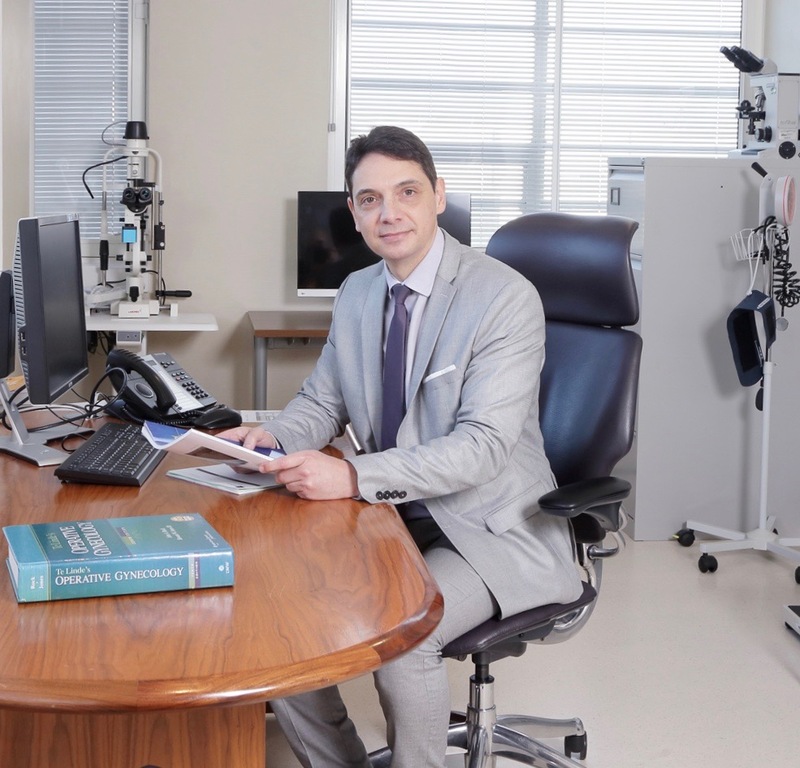 He is also experienced in managing a wide range of general gynaecological conditions such as menstrual disorders, menopause and pelvic pain from a variety of causes e.g. fibroids, ovarian cysts, endometriosis (See ‘Conditions’ and ‘Treatments’). Mr de Rosnay was born and raised in South Africa. He has dual nationality, French and South African. He obtained his undergraduate medical degree from Wits University in Johannesburg. His internship was undertaken at Baragwanath Hospital, the largest hospital in Africa. Following his medical training in South Africa, Mr de Rosnay moved to the United Kingdom where he embarked on specialist training in Obstetrics & Gynaecology in the North West Thames area of London. This involved rotating through a number of prestigious hospitals including St Mary’s, Queen Charlotte’s, West Middlesex, Hillingdon and Watford. After completing his specialist training he moved to Australia and underwent a 2-year fellowship in advanced laparoscopic surgery at the Sydney Women’s EndoSurgery Centre. He returned to the United Kingdom and took up a consultant post in Obstetrics & Gynaecology at West Middlesex University Hospital. Mr de Rosnay is currently the lead Consultant in Urogynaecology. He has a special interest in female pelvic floor dysfunction and childbirth-associated perineal trauma.